It’s a simple question when installing apps that can impact your daily life. Why are we treating it like it’s no big deal? Once, many years ago, when you purchased your first smartphone, you joined the always-online revolution. Gone were the days of status messages like “afk” or “brb” — no, you, humble smartphone owner, are now a part of the hyper-connected world in which you're never afk. Push notifications were the revolution of fast, always available internet that came with 3G. They made it easy to be on the pulse of the internet; instant gratification for your latest Instagram picture, who liked your Facebook status or up to the second news right on your lock screen. The iPhone makes it incredibly easy to get the latest about anything and everything. 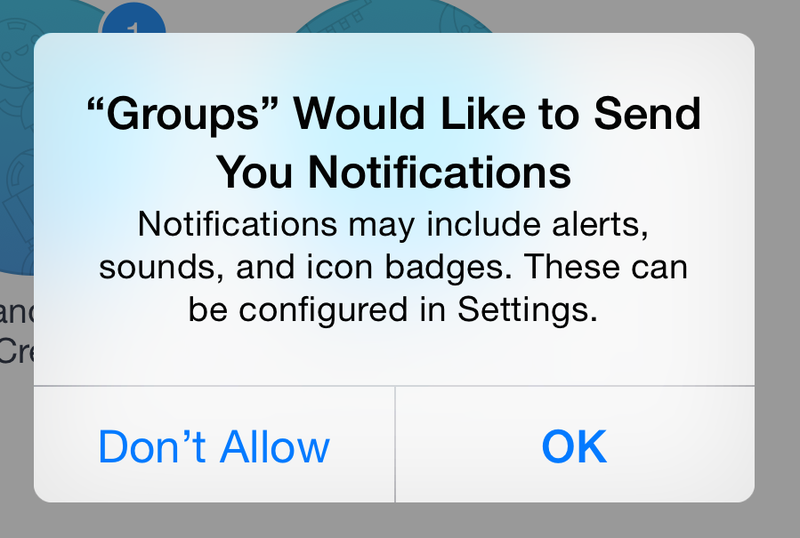 Apple would basically prefer if you had no discretion and accepted every push notification request ever. That’s what most of us do; I mean, why wouldn’t you want to know the latest? 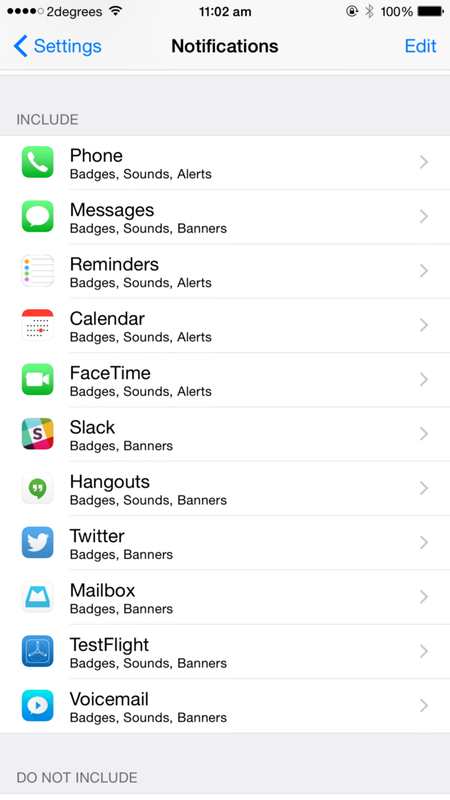 Matt Galligan wrote this week about using Do Not Disturb as a weapon against notifications. It’s a great idea, but misses the fundamental problem: we actually don’t need to be on the pulse of every single thing ever done online. I was a person who hungrily opted into pretty much every push notification and ate it right up, for many years. Constantly on my phone, when with friends or family. At least, until I read this incredible piece about your brain on mobile. This got to me far more than I like to think it did; I looked at my notifications list and thought that I needed everything in the list, otherwise I would be left out. That’s when I realized that I needed to change that. Apple makes it incredibly easy to get push notifications on your phone. One button and you’ve got constant gratification forever. I think it’s time we started treating that “do you want to allow push notifications” request as sacred. That request is far more important than we ever give it credit. Push notifications are a long term relationship that has an impact on your day, not just a simple decision like what you’re going to wear today or what soda to drink. My goal at all times is to keep apps that are allowed to send push notifications to less than twelve. Instead of treating notifications as a buffet you endlessly feast on, treat them as something that earns its place and time on your lock screen. Your time and attention is scarce, why would you foolishly let anything get your attention? Why do you need to know about your Instagram likes and Facebook comments right now? It’s not easy when you’ve been trained to be up with the latest every second of the day. Am I willing to let this interrupt me at any given moment during my day? Is this information critical to my life? If the answer is no, kill it. Turn it off entirely. Instead of drinking from the information firehose, sip from it when you’re able to. By stepping away from push notifications, the power is yours again. You’re switching from a push mentality to a pull mentality. You choose when to catch up with the latest. You choose when to respond. You choose not to be available every second of the day. The next time that push notification request appears on your screen, take a moment to think how saying yes will impact your day before you make the decision. Treat it as sacred. Learn to say no.